KANN Manufacturing grain bodies feature all welded construction resulting in a lightweight, high-strength design. KANN grain bodies boast engineering which has proven itself for the past 30 years. No body is built like them and no body lasts like them! KANN Aluminum Farm Grain Bodies feature one-piece free flowing sidewalls for complete cleanout, as well as 8" channel-long sills with 4" cross members on 15" centers. 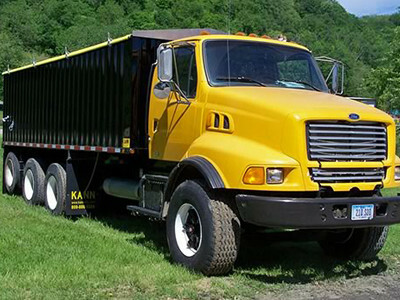 KANN Steel Grain Bodies feature smooth floors and free-flowing sidewalls for complete cleanout. 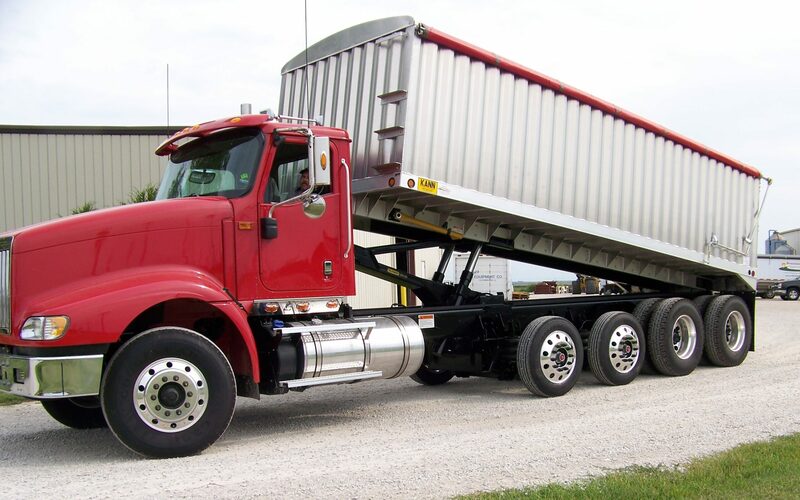 KANN Steel Grain Bodies are engineered to be lightweight yet stand up to years of grain hauling. Aluminum rear doors are standard and will provide years of hassle-free use. Kann also manufactures grain pups and semi hopper trailers.